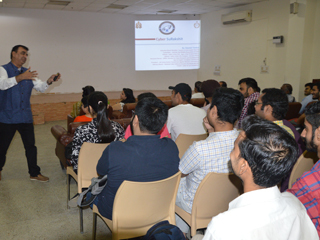 Computer Society of India, Delhi Chapter and Jagan Institute of Management Studies, New Delhi organized a Technical Talk on “Emerging Cyber Threats and Securities” on 15th September 2018 at JIMS Rohini. Session was chaired by CSI Delhi Chapter Chairman Mr V K Gupta who gave a welcome address and highlighted the importance of understanding Cyber threats. 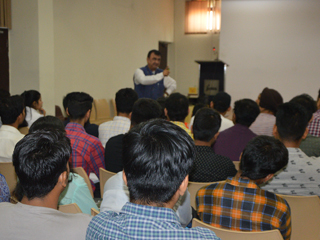 Technical Speaker for the session was Mr Rakshit Tandon who presented the overview of Cyber threats that society is facing today. Mr Tandon shared his experiences of working with CBI and most of the Police departments of India. He is a renowned cyber security expert who has abundance of information about cybercrimes, vulnerability of social media and malicious content available online. He guided students on how to control your social media presence, preserving your privacy, identification of threats and safeguarding measure available. In this technical talk of more than 2 hrs duration, audience was spell bound by his experience and oratory skills. He also informed students about his cyber cell workshops where students can learn about cyber crimes and cyber security with hands on experience. 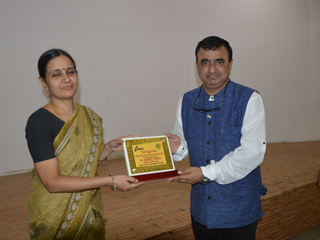 This session closed with a formal vote of thanks presented by Hon secretary of CSI Delhi Chapter Mr Akshay Kumar. 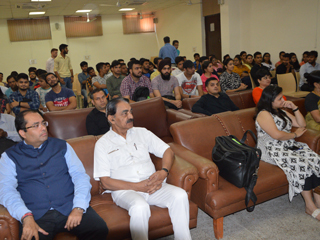 This session was attended by 150 students of over 5 colleges and many faculty members. Brief but intelligent discussion continued over high tea and all participants were awarded certificates.